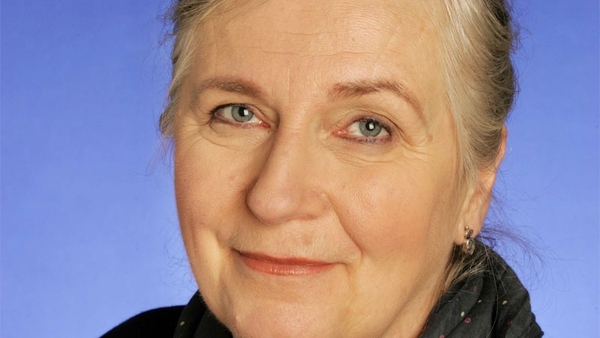 Aidan Butler, Senior Music Producer for RTÉ Radio 1, pays a moving tribute to Sandy Harsch, presenter of the station's country music showcase Country Time, who passed away earlier this week. How many times have we heard the terms – unique, one of a kind or irreplaceable? Well if they were ever more apt to describe someone as much as my friend, Sandy Harsch, I don’t know them. Born in Rhode Island, as a teenager Sandy attended the beginnings of the Newport Folk and Jazz Festivals, every hoedown and hayride jamboree from the early '50s onwards. A barrel horse rider in rodeos, where she got her first education in country, Sandy biked Route 66 when it was in it’s infancy. In later years, she worked as a freelance photo journalist and also with Claddagh Records, where she met and was quite friendly with Garech de Brún. Also Davey Spillane’s Atlantic Bridge album was rehearsed and devised in her living room in Dalkey. We have heard her described as a fountain of knowledge for music, especially American Country Music, but Sandy was way more than that. I worked with her for nearly 15 years, and was truly amazed every day with the knowledge she had on any subject – music in all it’s genres, homeopathy, gardening. she devoured books at an amazing rate - but I knew to never get her started on American politics or gun control!! The best illustration of her knowledge is a story of the time Sandy and I went up to the Bronte Centre in Co. Down, to interview J.D. Souther, one of the songwriters for The Eagles and Linda Ronstadt, to name just two. When we got there, the promoter Andy Peters told us that JD had just flown back fro Texas after burying his father, and was continuing the tour. Sandy and I both said we would not intrude on his time before a gig and that we would do it another time. JD insisted we go for dinner with him – so the four of us sat down and Andy and I sat for the next 2 hours dumbfounded by the lecture we got from the two of them on American music and it’s impact on American history and society. I think they started somewhere in the American Civil War, then went to jazz, bluegrass, American classical music to Bernstein and beyond. JD sat in awe of her knowledge, and they became good email pals afterwards – in fact we were told that one famous Country guitar player's sole ambition in coming to Ireland was to meet the woman who put a smile on JD Souther! I remember her winning the CMA Foreign Presenter Award, and Brad Paisley coming to present it. The award got held up in customs and they had such craic pretending my zoom mic was the award for photos, that when it did arrive a few weeks later Brad made a point of coming back to officially hand it to her. Sandy was just the sweetest, funniest, smartest girl. And girl she was, 76 or no, with a twinkly eye and a mischievous laugh. It was a privilege to call her friend. Our world is a colder place without her. Sandy was not, by her own admission, a ‘professional’ interviewer - and she wasn’t. What Sandy brought was the enthusiasm of a fan being handed a microphone and allowed to ask the questions fans wanted to ask of their heroes. Sandy didn’t like to interview people if she didn’t like their music or politics – as far as she was concerned, she wanted to get people to go buy their new CD or go to their concert, and she couldn’t do that in all conscience if she didn’t respect them. She never took her fame for granted – she would always sheepishly go to introduce herself but to see Brad, The Mavericks, Sugarland, Miranda Lambert and Gilian Welch and David Rawlings, whose mum Sandy knew in school. Anyone who had been interviewed by her before came rushing over to hug, and in many cases, give their only interview to her – she needed no introduction. Listen: Sisters Are Doing It For Themselves, presented by Lilian Smith and Sandy Harsch - the programme looks at the world of popular music from the female perspective. She quizzed them and probed them about their music, and here’s where our team came in to play – she made me look good by getting these interviews or prodding me into putting in for them, and I made her look good by editing out some of her less than ‘professional’ questions. We had great fun going to interviews, and even more coming back – she was like a kid who had been let free in the sweet shop. She’d relive the interview and say ‘Make sure you cut out where I lost it in that question’. 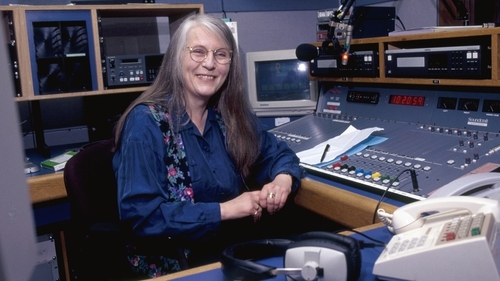 She was a champion to Ireland’s musicians, too – she loved Ray Lynam and Brendan Quinn, as she did The Whileaways, I Draw Slow, Luan Parle and Ciara Cidine, and of course her old pal Rick Epping and The Unwanted. Her death was sudden and unexpected. We were always looking forward to more projects, so the idea of stopping never really entered her head. I have lost a dear friend, her family have lost a most devoted mother, grandmother and sister. Ireland has lost one of its most unique broadcasters, a woman who did it her way and with an enthusiasm that was totally infectious. Sandy, I am going to miss you more than words can say. Rest in peace.